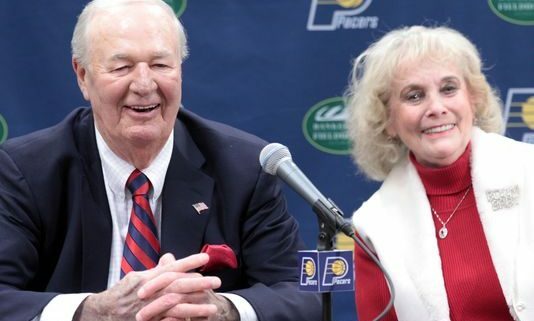 Nancy was a behind-the-scenes influence throughout the Pacers’ ABA seasons, helping where needed in an official, unpaid role but, according to those involved with the franchise, not intrusive. She didn’t offer her opinion on lineups and strategy, or try to mentor the players. She did travel with the team for occasional road games in the playoffs, and was there for all three of the championship-clinching games – in Los Angeles in 1970, New York in ’72 and Louisville in ’73. One of her favorite memories is standing in the tunnel that led from the Pacers’ locker room to the court before Game 6 in L.A., nervously awaiting tipoff. Roger Brown, the last player out, sauntered by and said, “You look like you’re about to go to the death chamber.” Then he went out and scored 45 points to end the series. Nancy was the Business Manager of the Indiana Pacers. The players from that era remember her as an asset rather than a mere onlooker or a distraction, as spouses have been known to be. Daniels recalls seeing her standing and looking like she was ready to rush onto the court after fights broke out, which wasn’t an unusual occurrence in those days. She had no job title then, and most of her contributions went unnoticed to the public. The Pacers, indeed the entire ABA, were in survival mode, and everyone pitched in where they could to keep it alive. Nancy once drove the team mascot, Dancing Harry, to a game in Louisville in a recreational vehicle by herself. She also was instrumental in the formation of the Pacemates, pro basketball’s first “cheerleader” squad. Sandy Knapp, who had been promoted from a Pacesetter – the original group that acted as escorts for honorary ball boys and dignitaries – into the front office had taken the idea to Nancy, who had been a cheerleader sponsor at her first teaching job in Bloomington after graduating from IU. The initial Pacemate practice sessions were conducted in the Leonards’ then-unfinished basement, and Nancy coached them. She was fully in charge of the front office, likely the first woman in the history of professional spots to hold such a responsibility. She downplays it all today, but those around her do not. 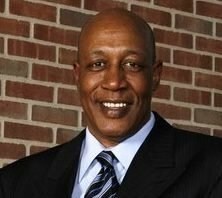 Slick was the coach and general manager, and made all the basketball decisions. She directed the office of 13 employees and attended league meetings. It might be surprising to some that she was accepted into the formerly male bastion of general managers, but not to those who know her. She tends to command respect. She held her own. She also was one of the primary advocates of the three-point shot that had been instrumental to the ABA’s success. It was finally instituted in her fourth and final season as an executive. But the job was more difficult than she could have imagined when she had first blurted out “it’s just the NBA” to the ownership group. All those rules added up to a lot of work. As respected as she was, she feared her reception from the all-male group of local media members who had covered the team in the ABA. There were going to be new, more restrictive rules for reporting on the team, and she wondered if they would follow her direction. After the ABA-NBA merger, the Pacers found themselves in financial trouble, on the verge of losing everything. From her participation in the league meetings, Nancy knew of the growth that was coming to the NBA because of better television contracts and expansion. She also knew Indianapolis would never get another NBA team if it lost the Pacers. Her last and best hope was to simply put the team’s urgent needs before the public and ask for help. The best way to do that was to conduct a telethon to raise money and sell tickets. But it needed to happen quickly, and the obvious time to do it was over the July 4 holiday, when people were off work. Only problem was, the end of June was approaching. She would have seven days to put it all together. That is exactly what she did. Directing a 13 person team, Leonard drove a phenomenal effort to save the franchise by selling over 8,000 season tickets. Without her contributions and leadership, Indiana may never have had a professional basketball team.